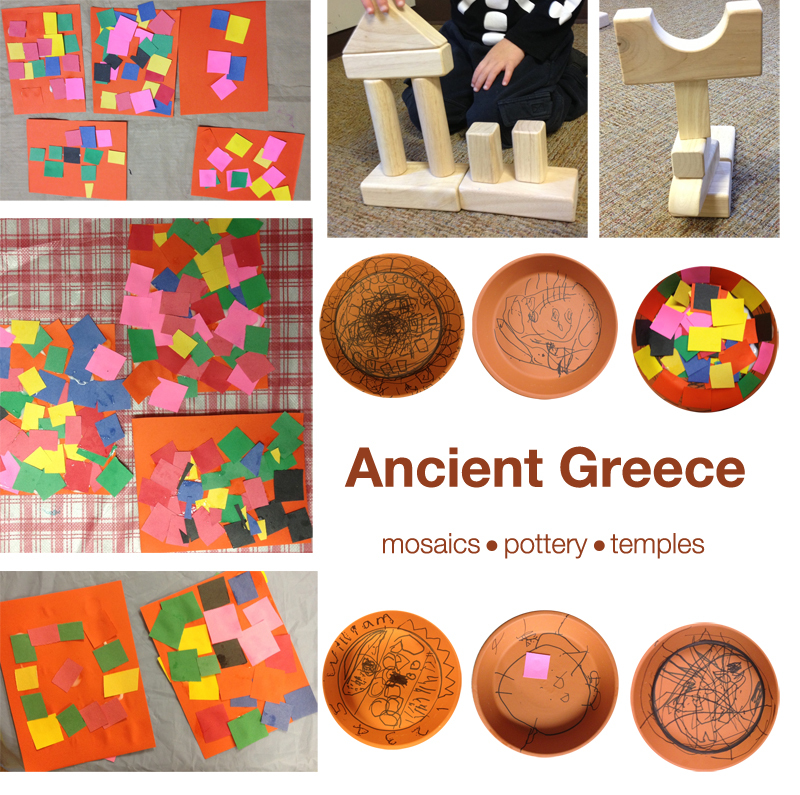 The little artists visited Ancient Greece last week. It was one of my favorite lessons, especially because the kids found the materials so engaging they did not want to finish working. It was really nice seeing 3/4-year-olds working on the same project for 30 minutes and not wanting to move on. The kids who actually did finish built temples from wooden blocks and took a part in our mini-Olympic games. Next time: Asia.